- Mission: Provide resources and services to help stabilize children and families who are homeless, work with them to reverse the causes of their homelessness, and help families optimize their self-sufficiency. November 17 - November 24. ​- If you would like to volunteer, please contact our volunteer coordinators. 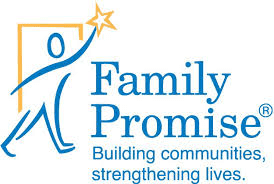 - For more about Family Promise, please view the links below. volunteer to help by signing up at the display! View recent coverage by CBS 58. View recent coverage by WTMJ4.